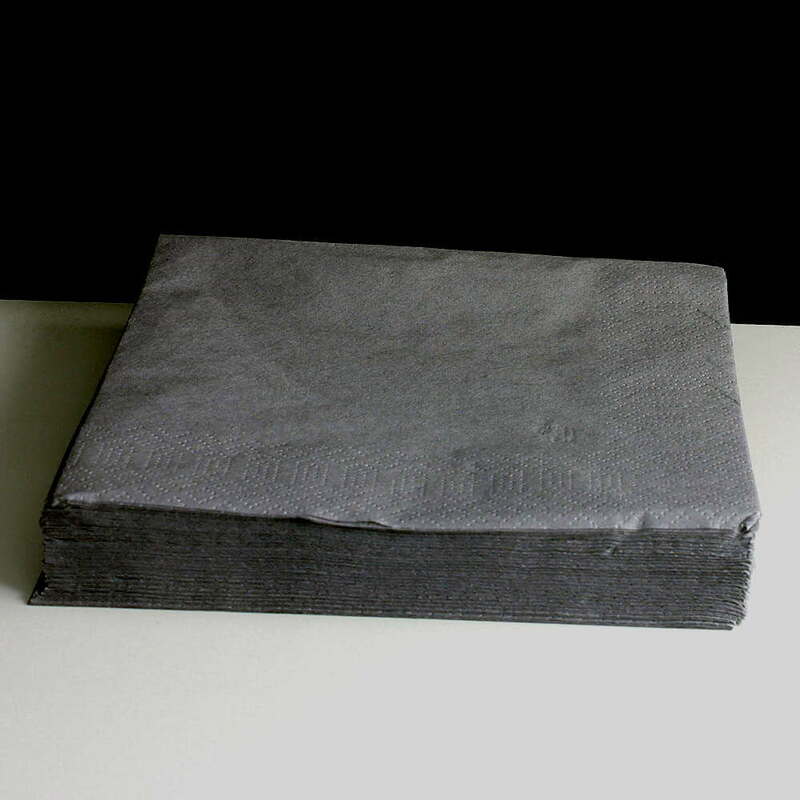 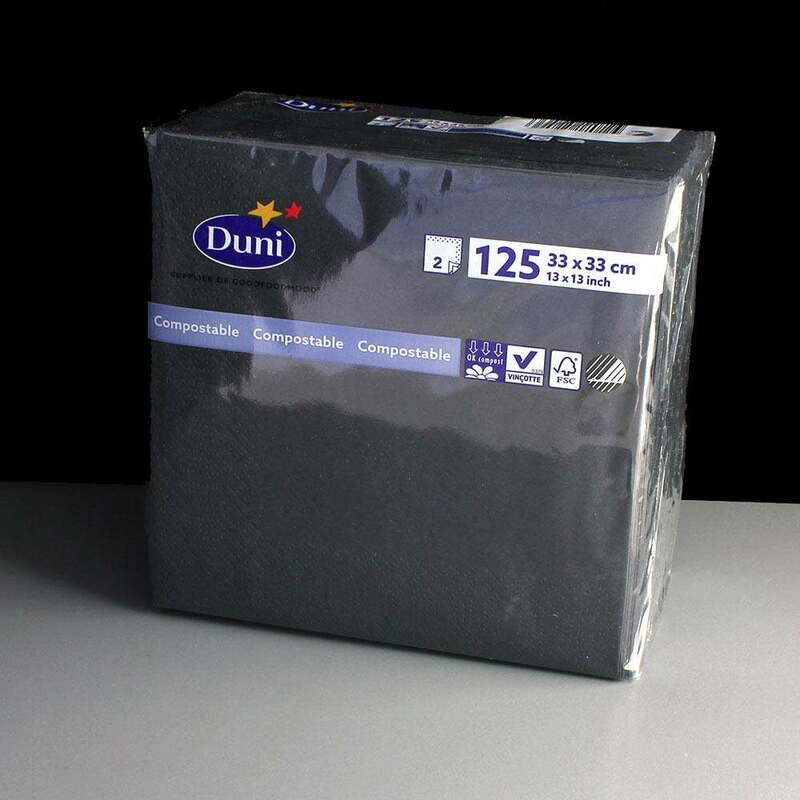 A pack of one hundred and twenty-five 2 ply black paper napkins / serviettes, 33cm x 33cm. 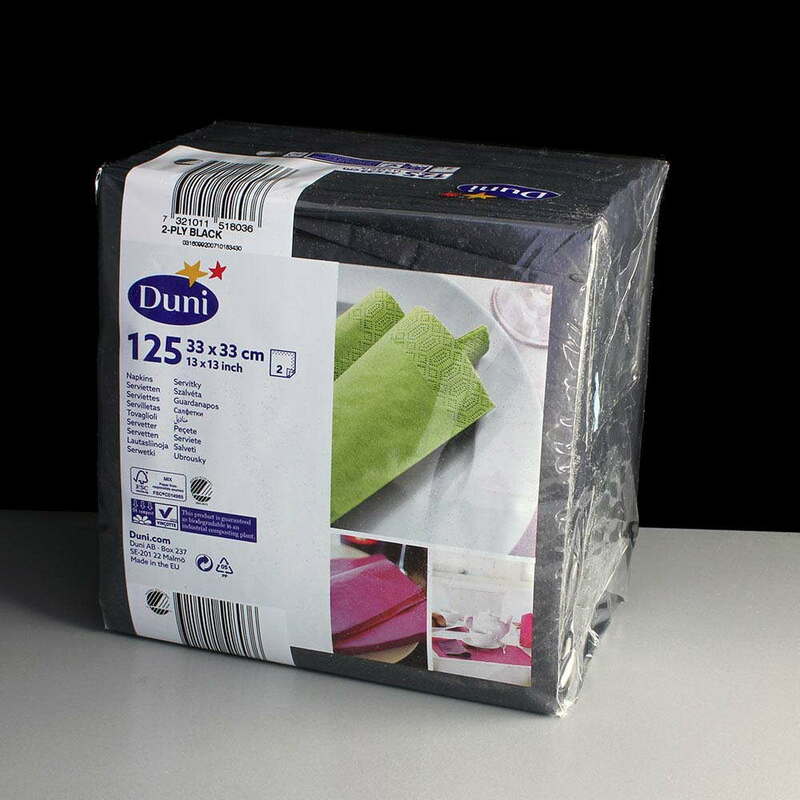 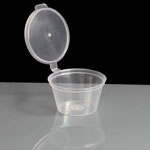 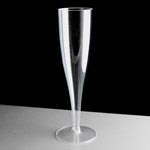 Ideal for parties and events where disposable catering supplies are required. 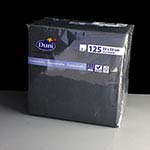 They are manufactured by Duni from a responsibly sourced paper mix. 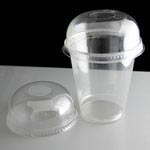 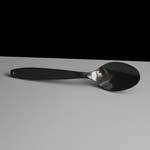 It is also guaranteed as biodegradable in an industrial composting plant. 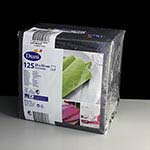 The outer film wrapper is recyclable polypropylene.